Make Your Summer Sizzle with STEM-tastic, Hands-On, FUN Science! Check out our 2019 Summer Specials! Looking to add some FUN into your camp calendar this summer? High Touch High Tech of GSP offers Sizzlin' Science Summer Camp field trips that bring a FUN, hands-on & educational experience direct to your campers! Our Sizzlin’ science field trips transform summer camp into a living laboratory through our unique discovery-style learning approach. All High Touch High Tech programs are taught by our team of scientists and are totally hands-on and totally participatory for each camper. Our scientists are able to accommodate as many sessions as necessary to meet the needs of your camp. 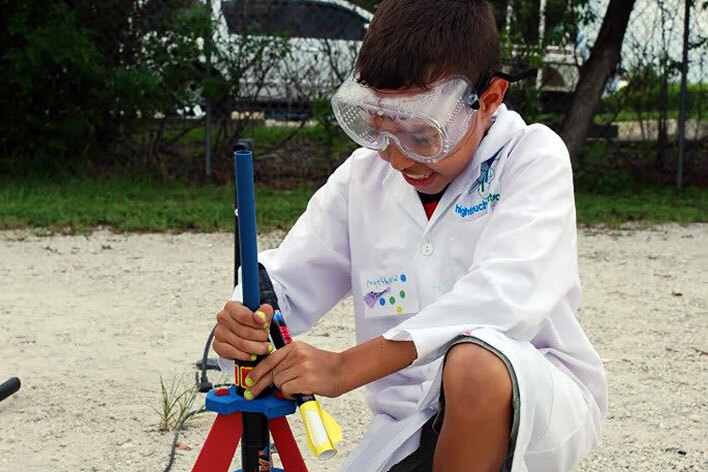 Children in grades pre-k through sixth grade will be engaged in 30-minutes of non-stop, hands-on scientific exploration! We use materials that are concrete, safe and relevant to the everyday lives for children of all ages. Upon completion of the field trip, students will receive a cool science certificate and ALL programs include “make-and-take” experiments! "Excellent! The children enjoyed this program and were so excited to see the scientist come back each week during summer camp!" 2019 Sizzlin' Summer Camp Program Guide! Book all 9-weeks of Summer Camp programs and receive the last week free! Book 4 or more visits to your camp and get a 10% discount! High Touch High Tech will engage your campers in exploratory, hands-on, FUN, science experiences for 30-minutes, serving as many groups as needed to meet the needs or your Summer Camp. Book all 9-weeks of summer and receive a discount of $.50 off per child!Call today for full details! Air with Flair© Uncover the mysteries of air, if you dare! Learn about air and all its amazing properties. Bugs, Bugs, Bugs© Learn the difference between a bug and a spider. 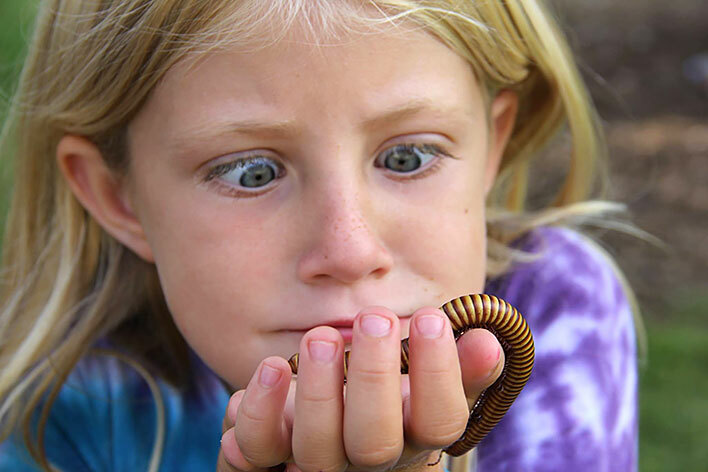 Examine real bugs and see for yourself how an insect really sees the world. Make a bug that you can even EAT! Cool Molecule© Have FUN as we learn all about molecules. Students will find out why molecules are so cool as they create their own density bags and much more! Crazy Chemical Concoctions© Join us on a wacky adventure through all kinds of cool and crazy chemical reactions. Make colors explode and keep your crazy concoction! Edible Science© Every experiment you can eat! Campers will get hands-on while we make some cool edible molecules. Then we will make gummy candies and lastly make science soda! Flight Command© Experience a real launch, from rocket assembly to BLAST OFF! Learn about escape velocity and calculate the altitude of your rocket. Enjoy astronaut ice cream and more! Follow That Planet© You’ll be glowing as we discover space. Journey through the stars and build your own constellation. Make glow in the dark Space Mud to keep! 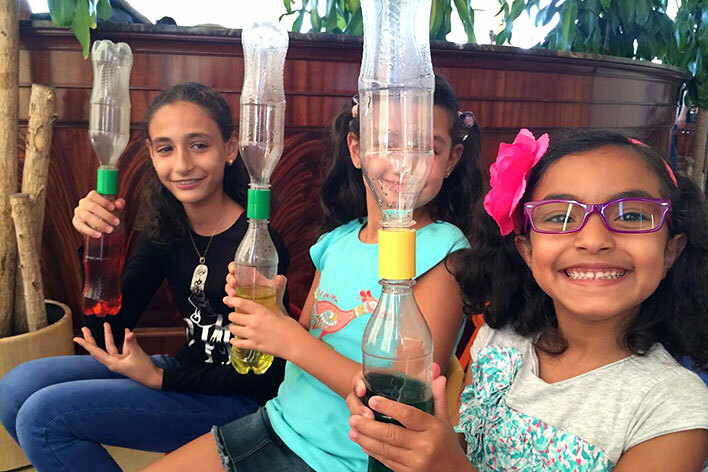 Investigate how fun and interesting science can be through hands-on learning! Q: Why do you cap the session size at 25 children?